ArcelorMittal, the world’s largest steel producer, has been investing in China over the years. It provided leading technological support, expanded auto steel business to China and established a JV with Hunan Valin Steel, i.e. Valin ArcelorMittal Automotive Steel Co., Ltd (VAMA for short) which put into production in 2014. 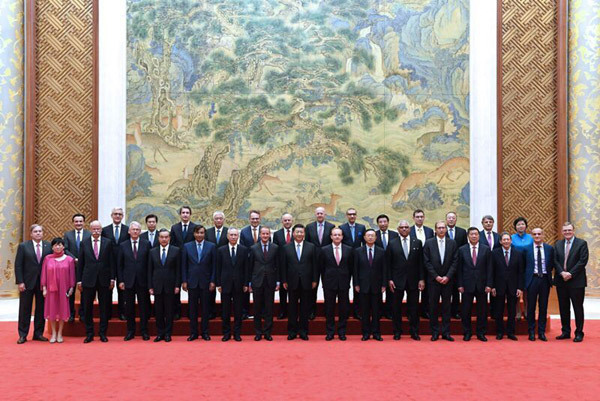 On June 21, ArcelorMittal Chairman and CEO Lakshmi Mittal participated in the special session of Global CEO Council (GCC) roundtable summit held at Diaoyutai State Guesthouse and met with President Xi Jinping. Participating transnationals are all important participants, witnesses, contributors and beneficiaries in China’s Reform and Opening up initiative, and have played active and significant roles in the economic development and reform deepening in China. As a successful example for supply-side structural reform in steel industry through absorption of hot rolled coils excess capacity in local, VAMA is using high-tech producing process and keeps improving product quality, production efficiency and service standard to provide wanting high strength steel products for auto manufacturing on the market, filling up the demand gap for high-end auto steel products that heavily relied on importation in the past. At the fourth anniversary of its SOP, VAMA has made great strides in terms of R&D and sales in high-end automotive steel products, achieving a stable production and market supply of AHSS including Usibor®1500, Ductibor®500 and CP1000, and the new generation of high strength steel Usibor®2000 will become available on the market within this year.